Over the weekend my business turns 6. What a wonderful ride it has been! Of course, as is with all good rides, ours has been replete with ups and downs, twists and turns. But in the end, it is the relationships with my clients that drives me. That leap of faith that each one takes with me is the fuel that fills the tank and allows the whole journey to happen. 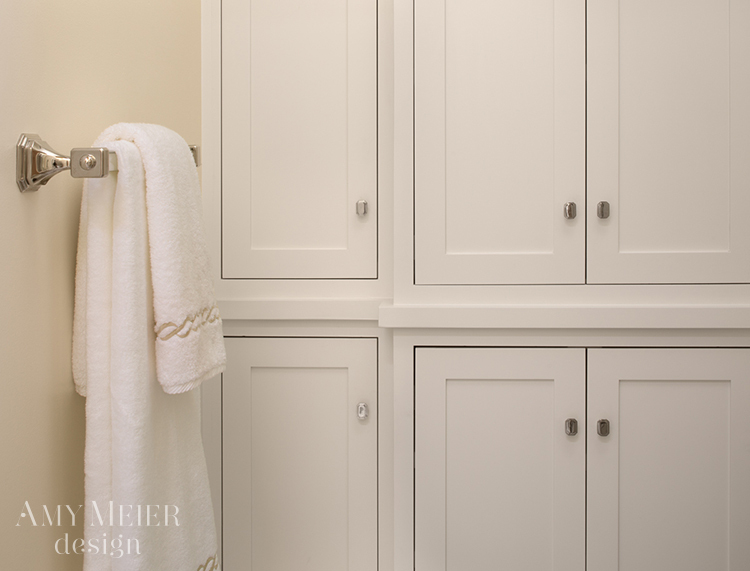 And speaking of wonderful clients and leaps of faith, I am thrilled to share a master bathroom renovation we completed recently. These clients very much appreciate the artistic hand in a renovation and invested in beautiful custom details. 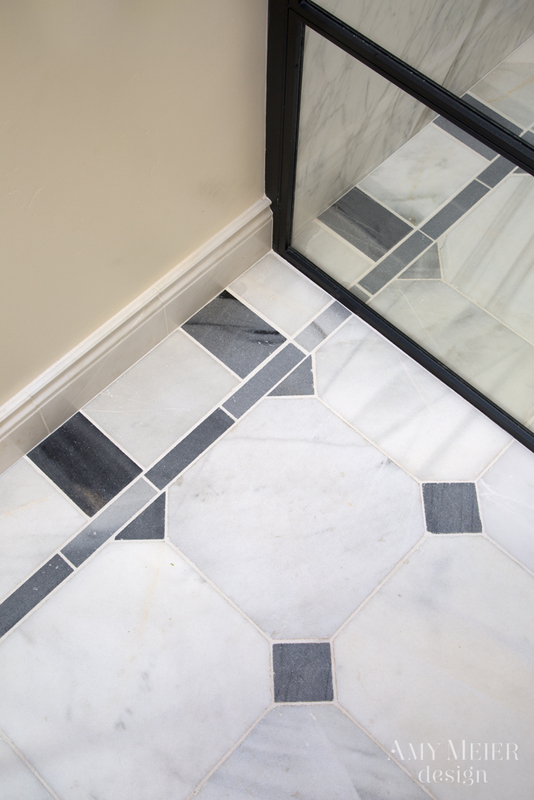 The foundation of the design for the room is the salvaged marble, cabochon flooring and the custom iron shower enclosure. A linear drain allowed us a seemless transition from floor to shower pan. The clean, linear feel of the room is rounded and softened by the perfect cherry on top: the alabaster globe lighting. 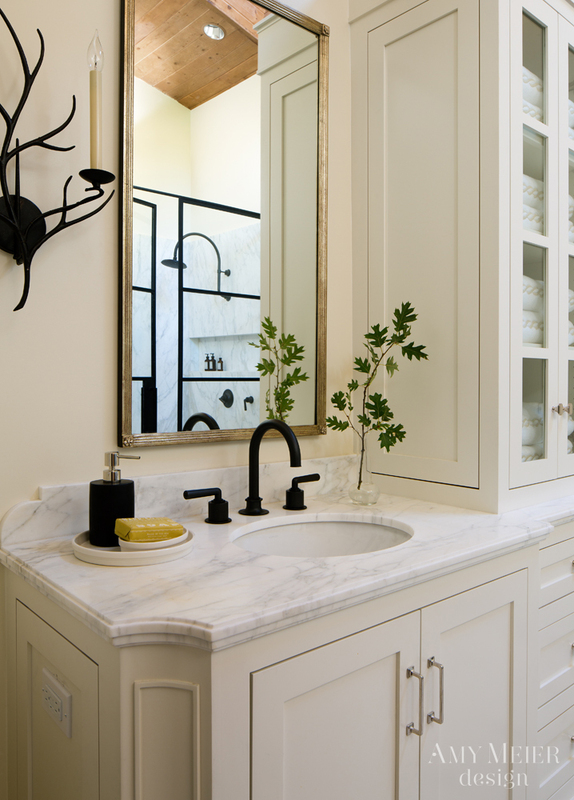 To me it is a wonderful mix of masculine and feminine, a true his and hers master bath. If you are in the area, please join us for a celebration Thursday evening.